A source involved in the making of a disputed video that shows Israelis praising President Obama denied that the video had been selectively edited. The video, released last month by the National Jewish Democratic Council, features Israelis lauding Obama as a pro-Israel president. Many of those interviewed were residents of Sderot, a town that routinely faces rocket fire from Palestinian terrorists. "Today, we're hearing what Israelis living on the front lines think," boasted NJDC president David Harris after the video was released. However, an Israeli resident of Sderot familiar with many of those interviewed has accused the NJDC of deliberately altering the interviews. 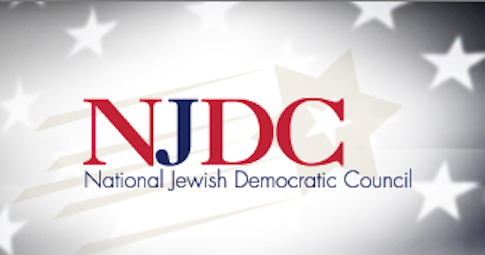 The NJDC is the current target of a $60 million defamation lawsuit for claiming that prominent Jewish philanthropist Sheldon Adelson encourages prostitution. David Farer, a denizen of Sderot, claimed recently in Pajamas Media that his neighbors’ views had been inaccurately portrayed by the NJDC, which he says "misleadingly edited or dishonestly encouraged" those being recorded. Interviewees, Farer maintains, were led to believe that they were appearing in a video thanking the United States for its support of Israel and for the Iron Dome missile defense system—not an election-year video personally thanking Obama. NJDC officials did not respond to a request for comment. However, a Jewish Democrat involved in the video’s creation told the Free Beacon that Farer is lying. "No one who was interviewed had their comments taken out of context," the source said. "All of the translations adhere to the meaning of the original Hebrew [and] all of the interview subjects knew what they were being interviewed for." Asked to clarify what exactly interviewees were told prior to recording, the source said there "was a verbal agreement that they [those on camera] were being interviewed for a video to thank President Obama." None of those captured on camera signed a release form, the source said, noting, "It was all verbal." One of the subjects of the film, Sasson Sara, is quoted saying of Obama: "Sderot is important to him. The Jewish people are important to him. The state of Israel is important to him." But Sara now claims the NJDC edited his words before and after the quote to significantly alter its meaning. The full quote, he said, should include "If" before the initial statement, and the words, "then Obama should do more about Iran" at the end. The Jewish Democrat who helped make the video denied this accusation. "It’s just not correct," the source said, referring to the entire PJ Media story, which the source deemed "absurd." "Any accusations they made about the translations of the language used in the final video is patently false," the Democrat said. "Obviously, it would be idiotic to release a video where the subtitle didn’t match up with what was being said in the video." According to Farer’s PJ Media account, many of the participants were not aware that they were appearing in a political video intended to convince pro-Israel Americans that Israelis want Obama to be re-elected. The source involved in the video’s creation said that many of those interviewed actually knew the videographer, who was formerly employed by "a world-renowned media outlet known for its impartiality." The source would not reveal exactly which media outlet he was referring to. "I spoke with somebody today and that person assured me that the interviewees were made fully aware of what the project was for—a video thanking president Obama." The NJDC scandal comes on the heels of a series of high-profile snafus for Democratic National Committee Chair Debbie Wasserman Schultz (D., Fla.), who claimed in a recent speech that the Israeli ambassador told her Republicans are "dangerous for Israel." After her words were reported, she claimed that the reporter who filed the story had "deliberately misquoted" her, a claim subsequently disproven when the reporter disclosed audio of the Wasserman Schultz speech that fully vindicated his quote. Wasserman Schultz made it clear to the Free Beacon that she would not apologize for maligning the reporter. Meanwhile, a new poll of Israelis shows that the public is deeply skeptical of the president. The survey of Jews and Arabs alike found Romney beating Obama 48 percent to 21 percent. Among voters affiliated with the conservative Likud party, Romney is winning 77 percent to 5 percent. This entry was posted in Politics and tagged Israel, Jewish Community, Obama Campaign, Sheldon Adelson, Video. Bookmark the permalink.